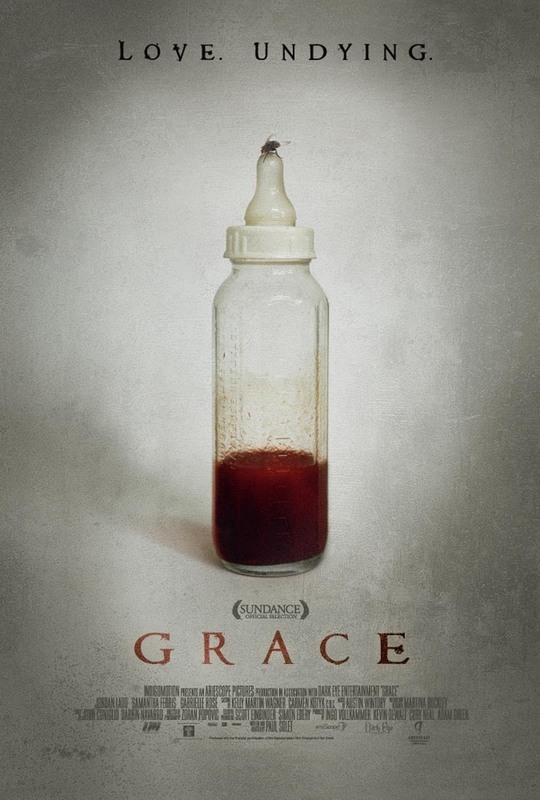 John’s Horror Corner: Grace (2009), a “baby horror” film about a blood-feeding infant. MY CALL: Although certainly not for recent parents of infants, this explores the psychosis of raising a monster—all be it at a slow pace. Not much horror action, but still somewhat interesting. MOVIES LIKE Still/Born: For more pregnancy/baby horror, try Rosemary’s Baby (1968), The Unborn (1991), The Unborn (2009), The Night Feeder (1988), It’s Alive (1974, 2009), Inside (2016), Inside (2007), Still/Born (2017) and Good Manners (2017; As Boas Maneiras). Some couples do everything right in order to have a healthy baby. Follow a schedule for insemination, perhaps fertility drugs, major adjustments to trendy diets, even environmentally conscious car purchases considering the future their children may inherit. Maddy and Michael (Stephen Park; Slither) are that couple. They drive a hybrid, drink soy milk, and seek alternative methods of childbirth. After a car crash causes the death of her husband and her unborn child in the womb, Madeline (Jordan Ladd; Cabin Fever, Hostel II, Club Dread) carries her (deceased) baby to term. The birth scene is a scream fest complete with blood-clouded water and a macabre fetus. But impossibly, her child—covered in necrotic wounds—comes to life! Maddy’s baby seems perfectly healthy… for a while. Eventually, her little baby Grace starts to smell, suspiciously attracts flies, and breastfeeding turns into blood-feeding. 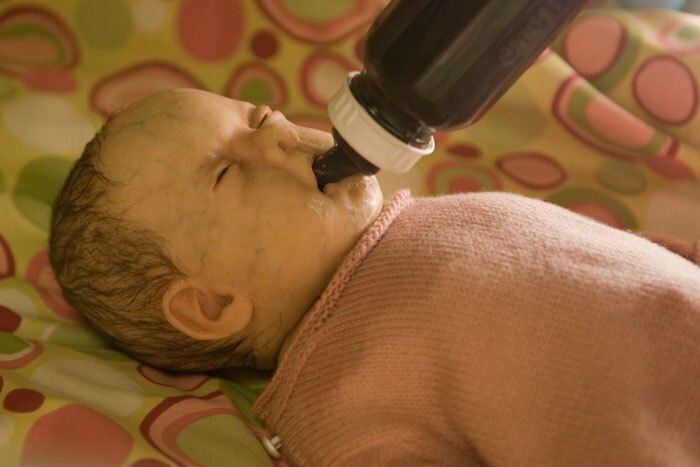 Maddy experiments with blood-filled baby bottles. When the livestock blood won’t do, she offers her own—and it eventually takes its toll on Maddy. So, desperate, Maddy approaches the next level: human victims to feed her child. Far from any high-octane, energized horror, the blood is abundant, but “gore” per se is limited to lacerations (but they look good). This is not a “death scene” movie. The true horror in all this is Maddy’s own mania and the crazy mother-in-law (Gabrielle Rose; Jennifer’s Body, Beneath, The Stepfather), despite not being the focus of the film. The writing, dialogue, acting and line delivery fell short of my theatrical hopes and ranged comfortably average to maaaaybe above average for a direct-to-DVD horror film that takes itself seriously. This film lacks the style or filmmaking acumen of its contemporaries. 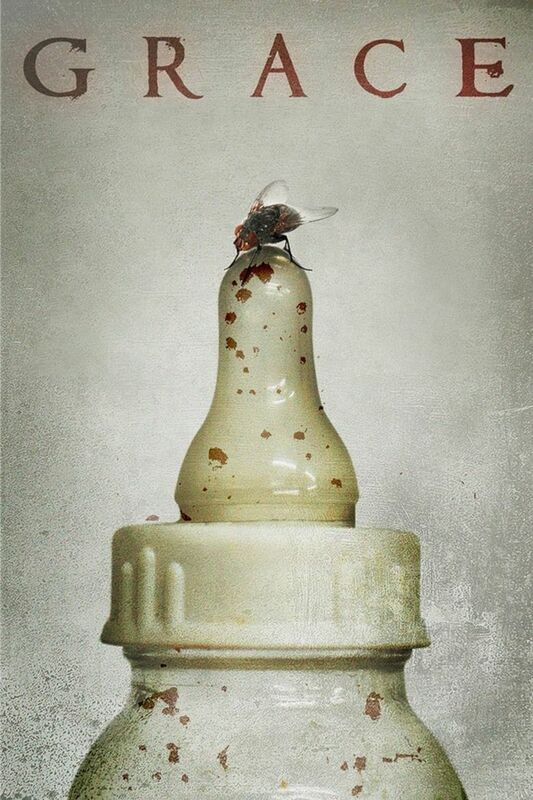 But it’s fine; entertaining; a bit slow(ish) but not boring. I can’t say I’m overly excited for whatever Paul Solet (Tales of Halloween) does next. The end packed the best momentary visual shock but, in terms of story, it was a bit hokey-cliché. The nature of the film leads me to advise that parents of infants probably shouldn’t watch this. Otherwise, I’d lightly recommend this broadly to horror fans willing to take a chance.